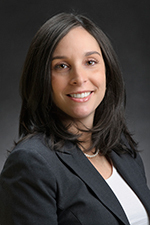 Ms. Levine, who joined the firm in 2005, is a Partner in the Litigation & Arbitration and Employment Law Practice Groups. Ms. Levine represents clients in a wide variety of commercial and business disputes through all phases of litigation. Her practice also focuses on employment law, defending clients against various types of employment claims including age, race, gender, national origin, and harassment, as well as claims under the Americans With Disabilities Act, Fair Labor Standards Act, whistleblower laws, breach of employment contract and defamation. Ms. Levine also has experience in representing hospitals in medical staff credentialing and peer review matters, including intra-hospital hearings and appeals, proceedings before the New York State Public Health council, and litigation arising from the peer review process. Ms. Levine is a graduate of the State University of New York at Buffalo (B.A. 1999) and Hofstra University School of Law (J. D. 2002) where she was an Executive Board Member of the Moot Court Association.